Here you can have a look at the poster I presented during the Nottingham Transportation Engineering Centre showcase event, last 27th February. 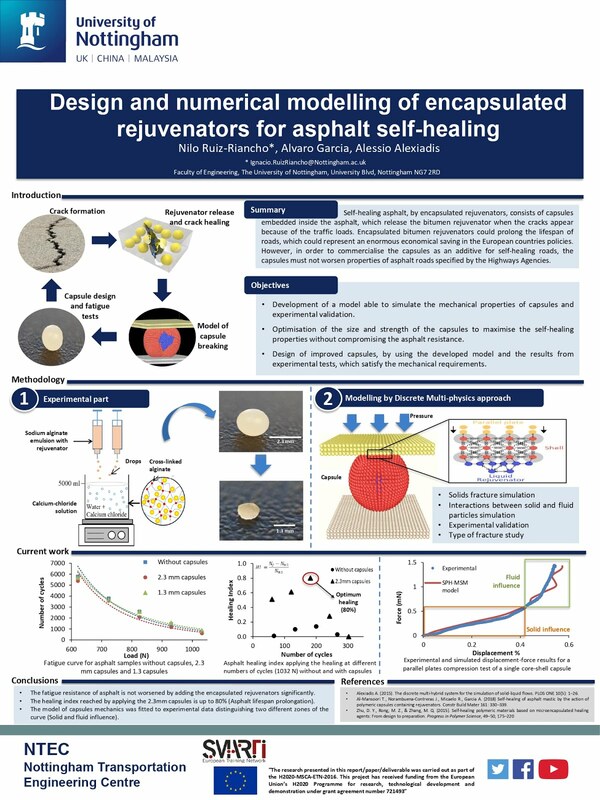 The poster shows how my project is structured and the methodologies are being applied. Furthermore, some results and conclusions were also presented. So that's all for today, I hope you found it interesting and see you soon!!! My name is Nilo Ruiz and I started a PhD as Marie Sklodowska-Curie fellow at the University of Nottingham approximately 8 months ago . The idea of this blog is to share my progress and some new professional experiences related to the PhD and the SMARTI ETN project. You may find my research interesting or just my experiences may be valuable for you too. The SMARTI ETN project has received funding from the European Union’s Horizon 2020 Programme under the Marie Skłodowska-Curie actions for research, technological development and demonstration, under grant n.721493.